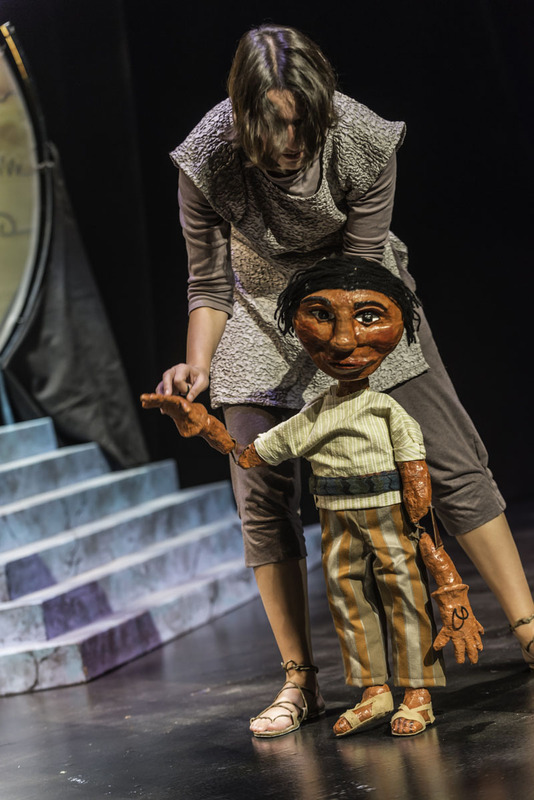 The Disobedient Child puppet, operated by Cecilia Cackley. Written by Cecilia Cackley and translated by Karin Tovar, this play was co-produced by GALA Hispanic Theatre as part of their GALita season 2013/2014. Adapted from Guatemalan folktales, it tells the story of Creator and Shaper, who create animals and humans to inhabit the world, but then must deal with complaining creatures, disobedient children and trickster animals. This is not a touring production. All photos are by Lonnie Dale Tague.